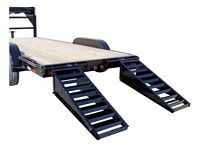 This heavy-duty utility trailer was designed for commercial uses such as hauling skid steer loaders, small tractors and other equipment. 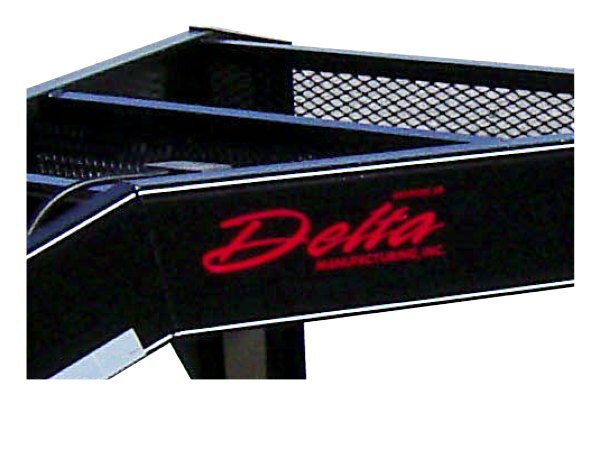 At 82 inches wide and with lengths of 16-24 feet, Delta’s Equipment Haulers offer the flexibility you need. Delta quality and durability are built in, with full rub rail and stake pockets, heavy-duty ramps with standup bars, full steel diamondplate fenders, conduit-enclosed electrical wiring and a pressure treated wood floor. Available in gooseneck and bumper-pull models with a GVWR of 14,000 pounds.